The Studio has been built as a result of 3 years effort from a core group of club members and is part of our ‘More Golf More Often’ project. The project was in two phases with phase 1 the new build Swing Studio and phase 2 the redevelopment of the practice ground area, with enhanced drainage and a short 3 hole academy course. 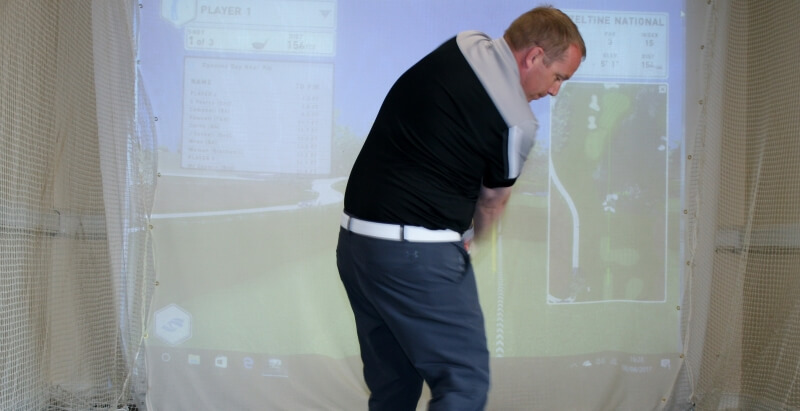 The Swing Studio contains technology to allow golf to be played indoors via a GC2 HMT simulator system. It is a fantastic facility that allows members individual use for practice on the indoor driving range or playing holes with friends on the courses purchased. The courses available to date include Carnoustie, Castle Stuart, Celtic Manor, Congressional, Hazeltine, Quail Hollow, Royal Troon and Teton Pines. We will be running competitions throughout the year and it will also be a teaching facility using high speed camera technology. 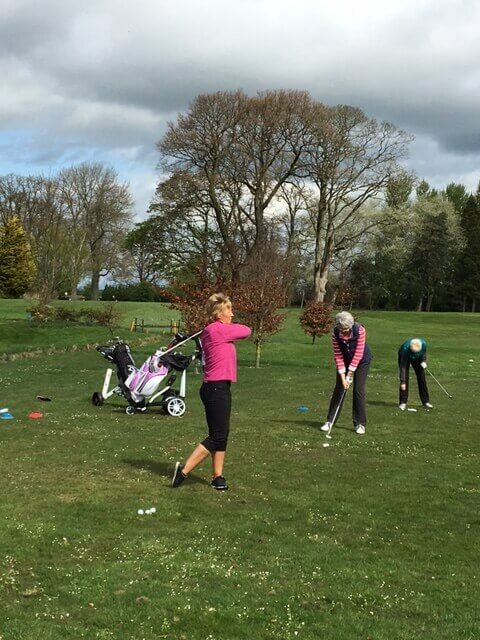 Not only do we want to provide an excellent environment in which members can be comfortable all year round but we also hope it will encourage new people to the club and the game of golf in general. New starters of all ages will be able to practise or have lessons in a controlled environment without the need to take on the golf course and/or the weather. As part of the enhancement of the club’s practice facilities a new 3 hole Academy Course has been constructed within the confines of the existing practice area where 3 new tees and 2 bunkers have been constructed. This will provide an excellent teaching facility to be used by members and visitors alike and will be particularly helpful in preparing new golfers to play on the course. It is an ideal place for beginners to learn the basics and for experienced golfers to sharpen their skills. The Swing Studio and Academy course will now provide Bedale Golf Club with one of the best coaching and practice facilities in the area.